Trump likes to think of himself as a free trade kinda guy. and in some cases, think reduced regulations, he is. But the idea that tariffs are good for the American economy is just plain bad policy. 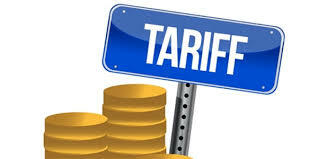 Tariffs are nothing more than taxes on goods that consumers wanna buy. Raise the cost of selling a widget? Raise the price of buying a widget. And it’s not even about keeping core. Consider, say, anvils. Let’s pretend that Elbonia imposes a 10% tariff on anvils imported from the United States and Trump comes along and imposes a 25% tariff on anvils imported from Elbonia. Good for the US? Winning? All it does is make anvils in America more expensive. But does it save American anvil manufacturing? Maybe – maybe not. Say that at Acme Anvil, a US based company, they can make anvils at a cost of $45 per unit. But Elbonia is able to bring them to market for $40. People will, all else being equal, people buy the less expensive anvil moving jobs to Elbonia. Now comes Trump and imposes that 25% tariff. Acme now has the price advantage because the foreign made anvil goes from $40 to $50 providing Acme the opportunity to profit at $46. Maybe Acme is happy with the $1 profit and is able to bring some jobs back from Elbonia. But, not having to worry about competition, Acme might just price their anvils at $49, increase profits and keep the jobs nearly where they were before the tariff. All the while the American consumer is being forced to pay an extra 5 bucks – or more. If you are a free trade guy – you can’t be a tariff guy at the same time. This entry was posted in Economics and tagged Donald Trump, Tariffs, Tax. Bookmark the permalink.